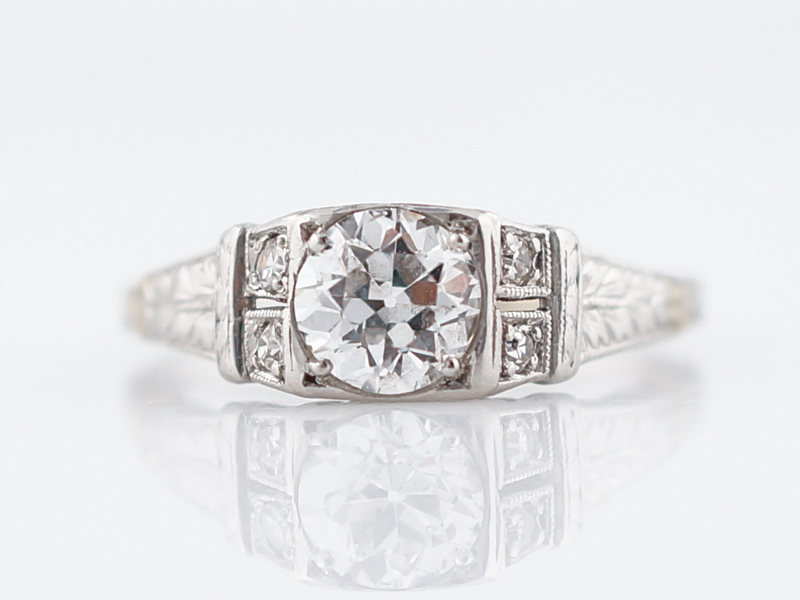 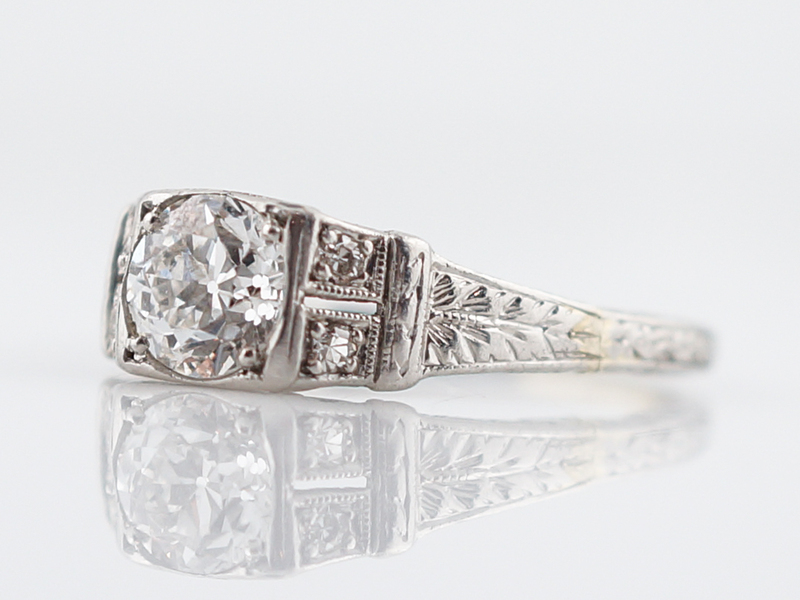 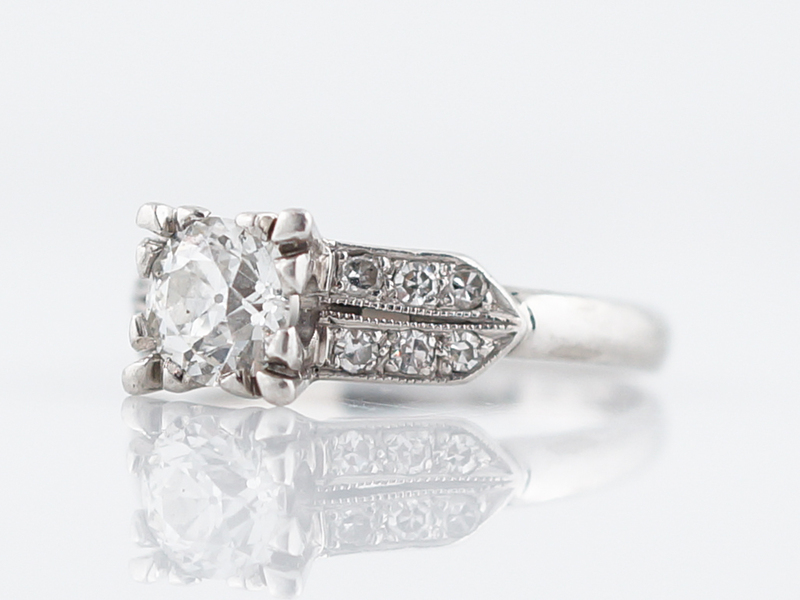 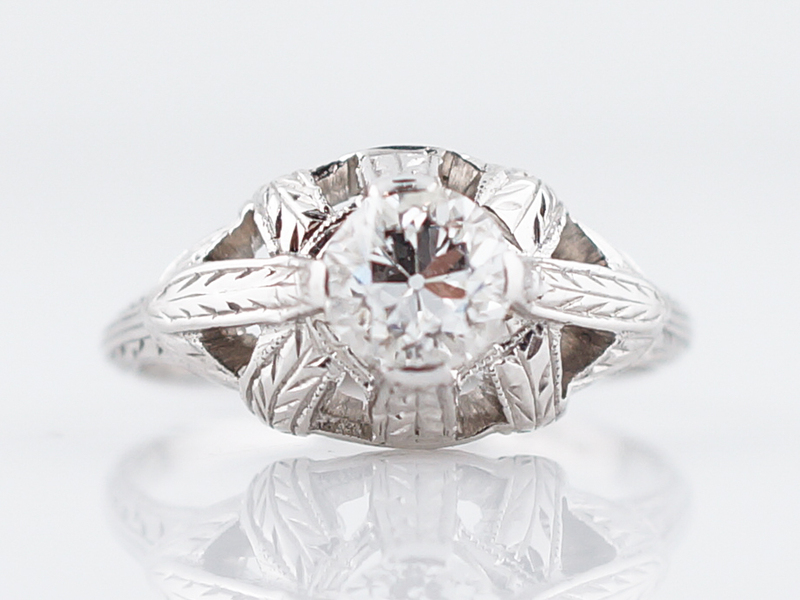 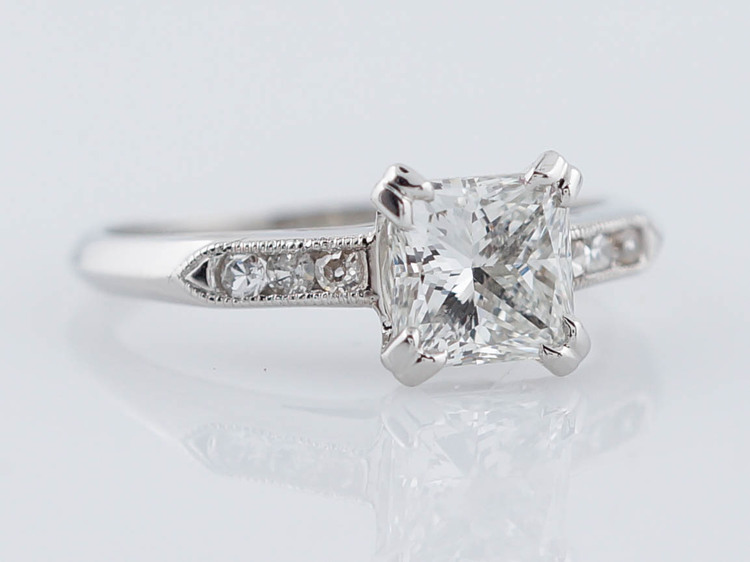 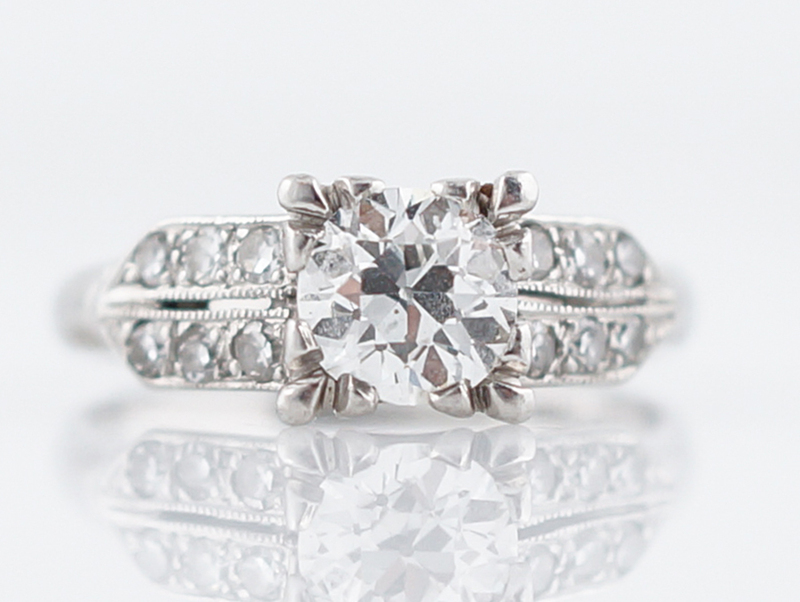 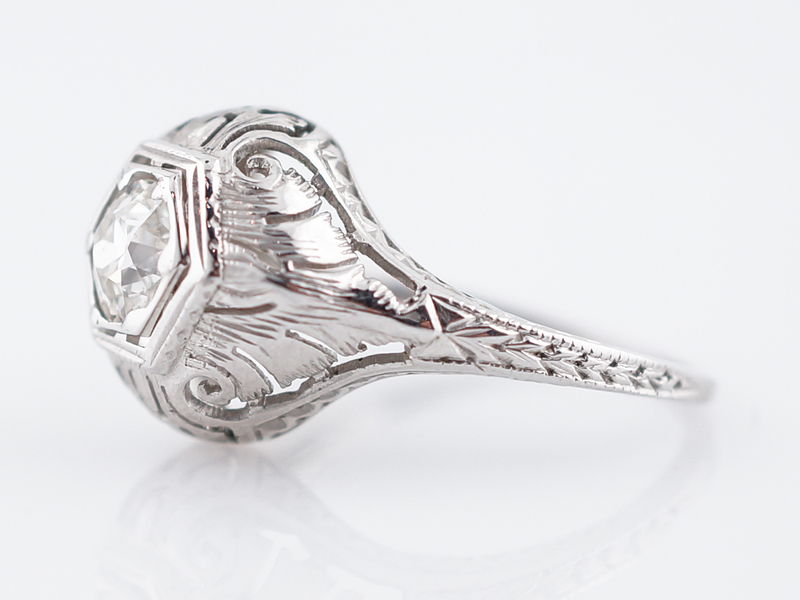 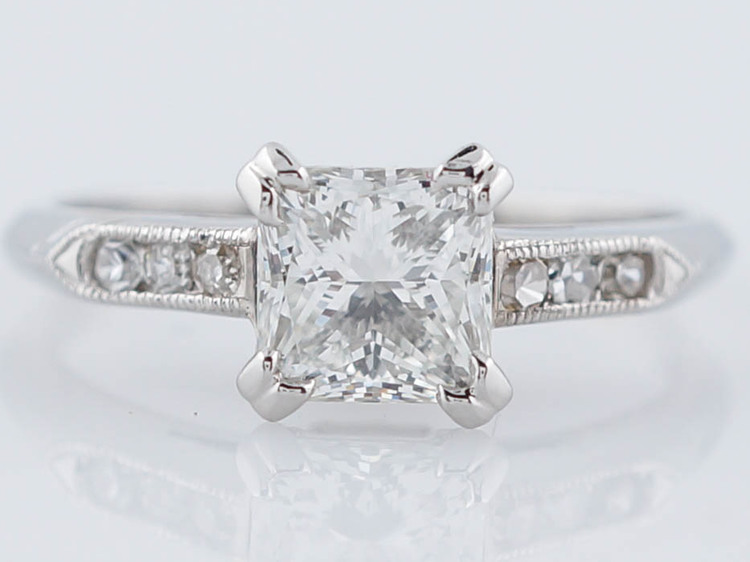 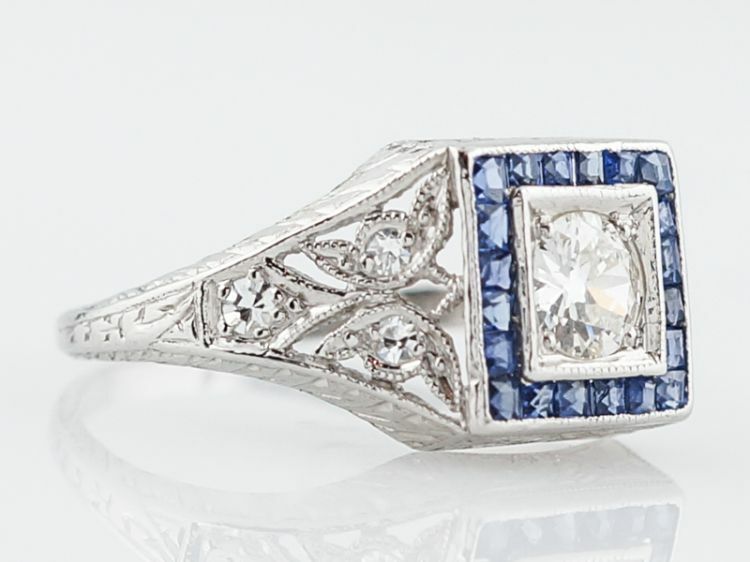 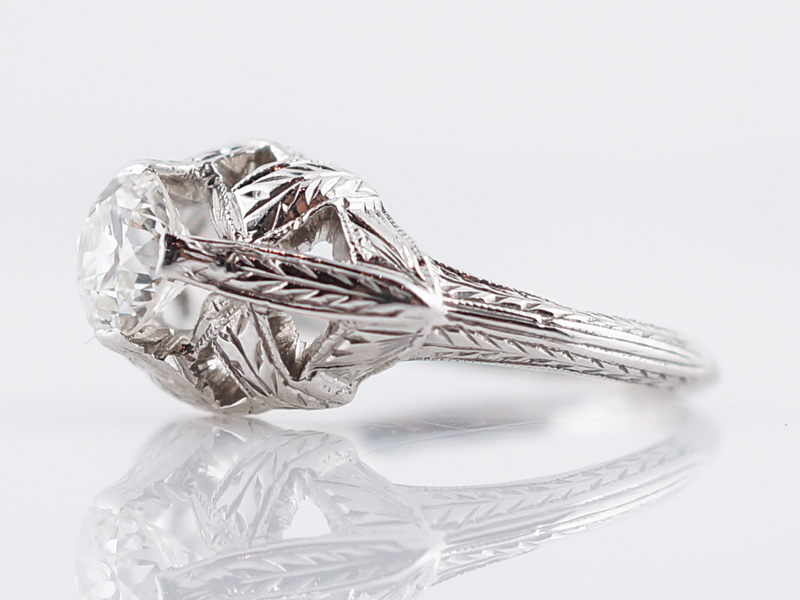 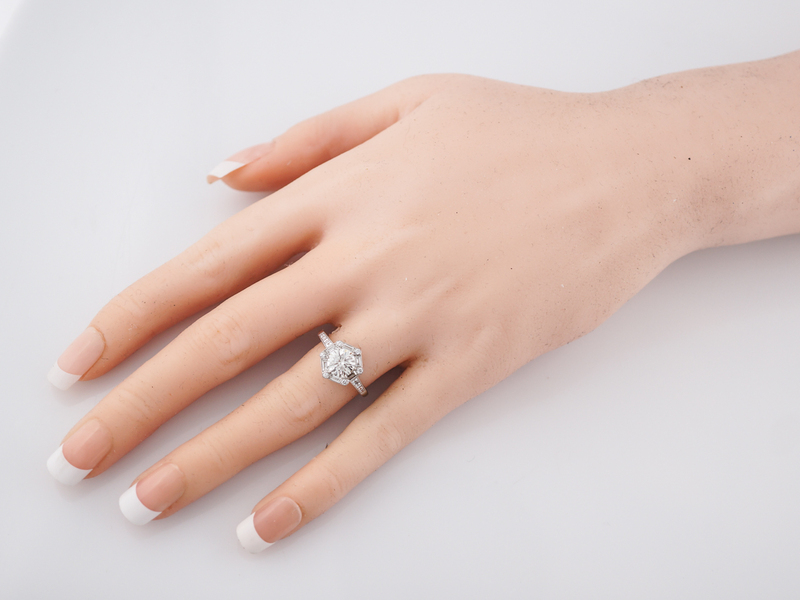 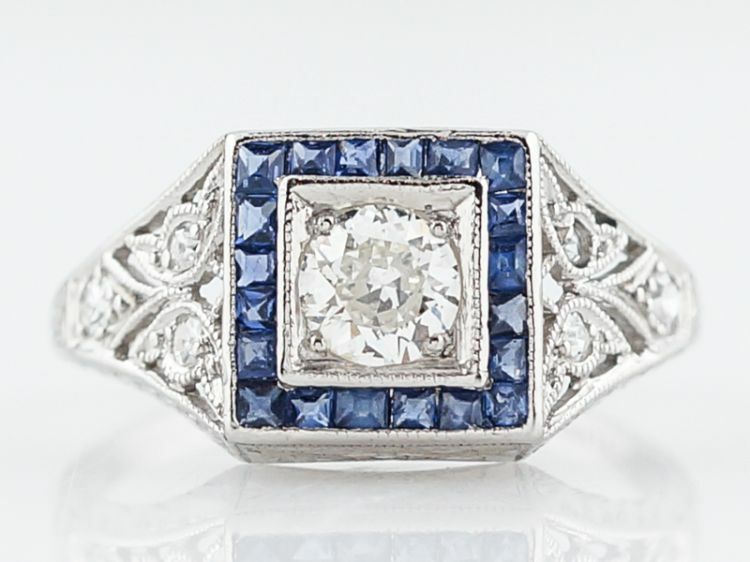 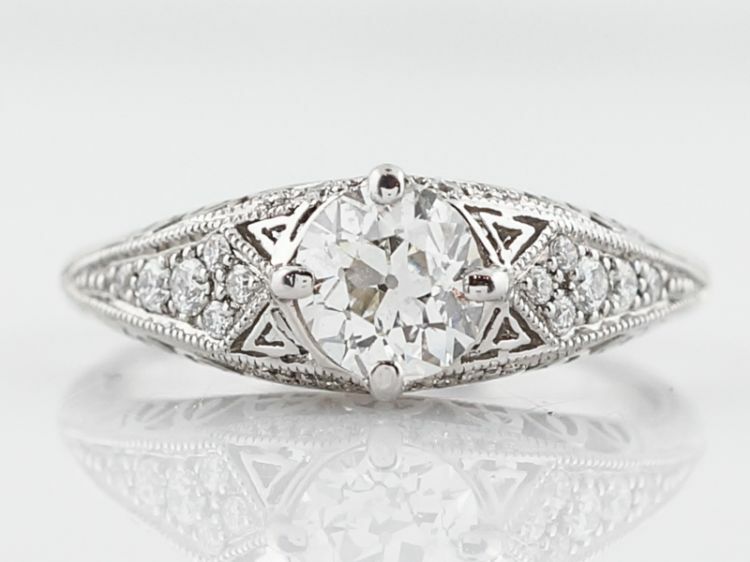 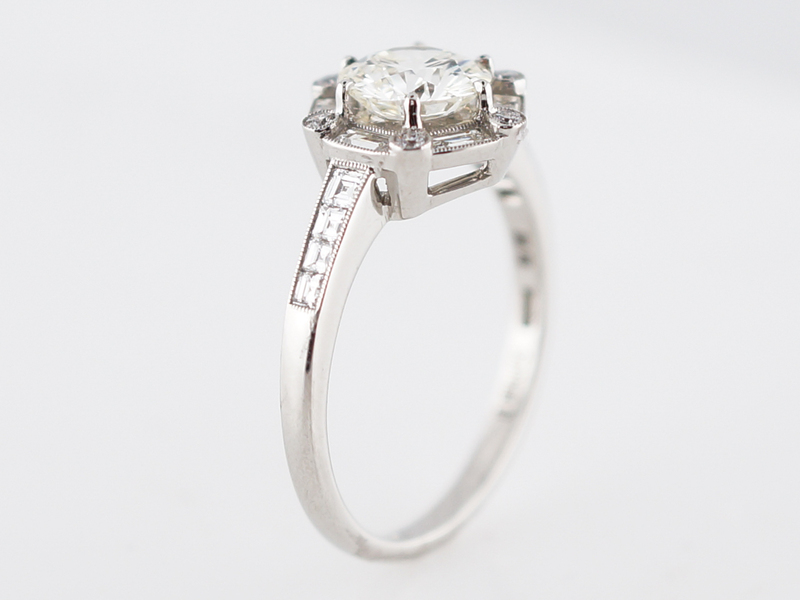 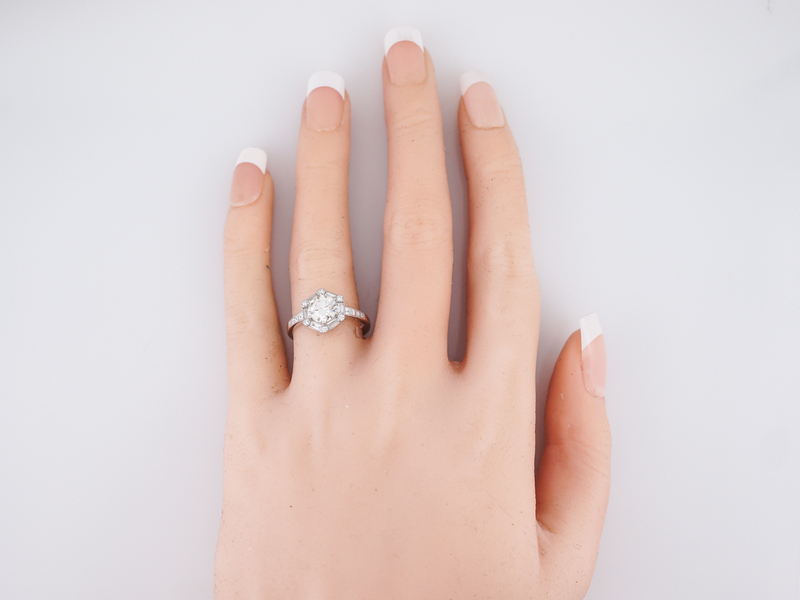 This modern engagement ring feels like a contemporary and innovative approach to a timeless design. 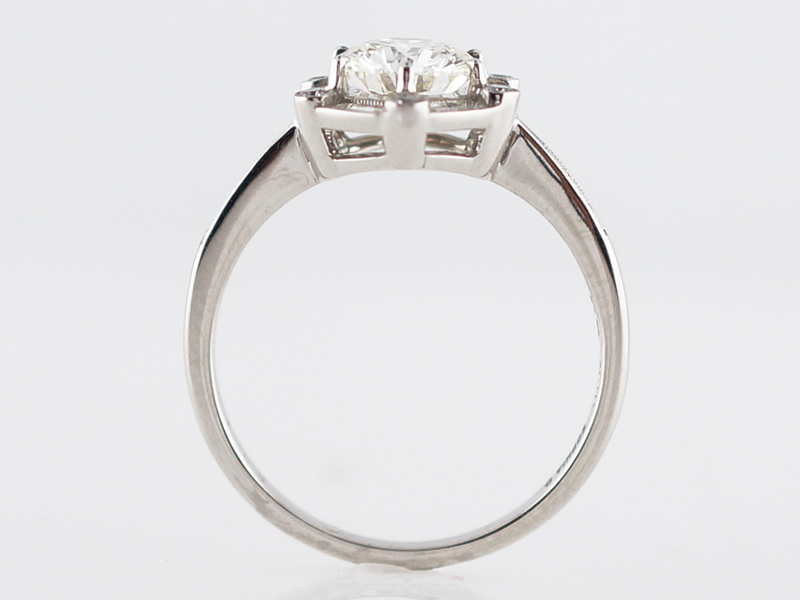 Featuring a .98 carat Round Brilliant cut diamond at it’s center, the ring dances in the light and it doesn’t stop there. 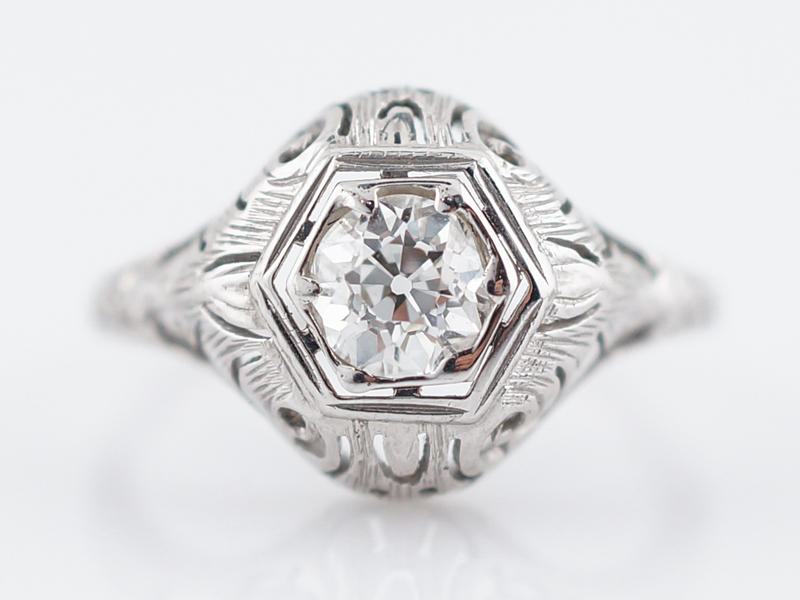 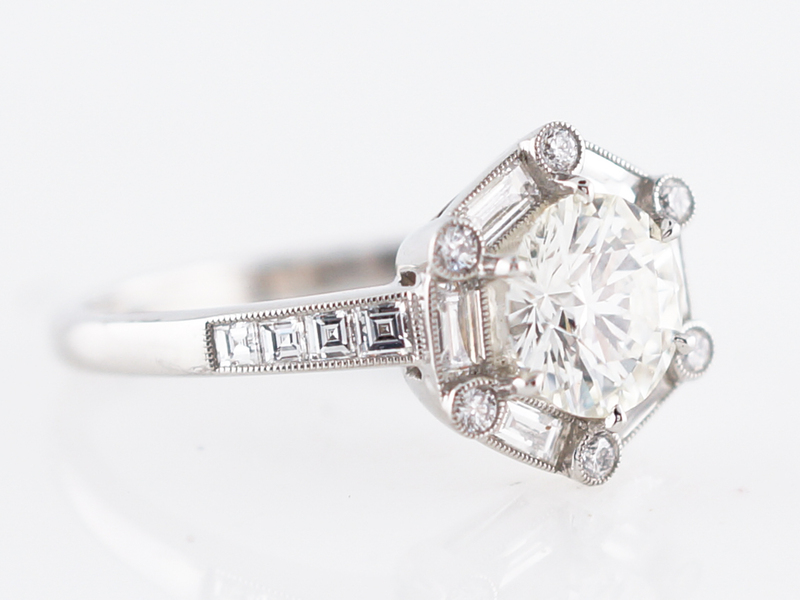 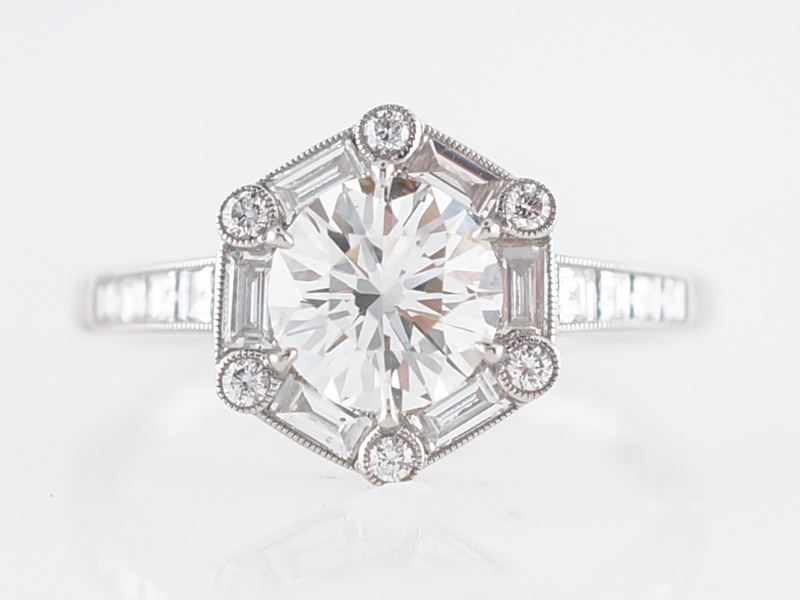 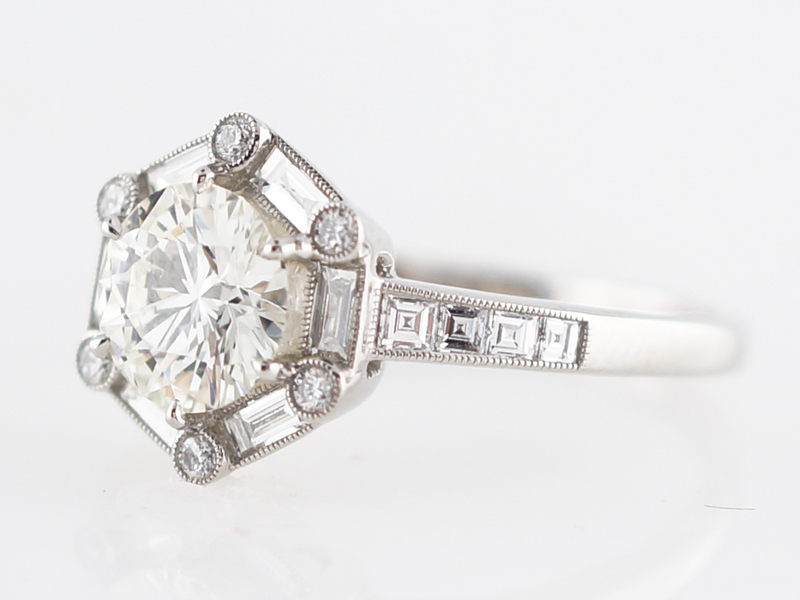 Surrounding the center stone, another .42 carats of round and baguette cut diamonds sparkle in a hexagon shaped halo. 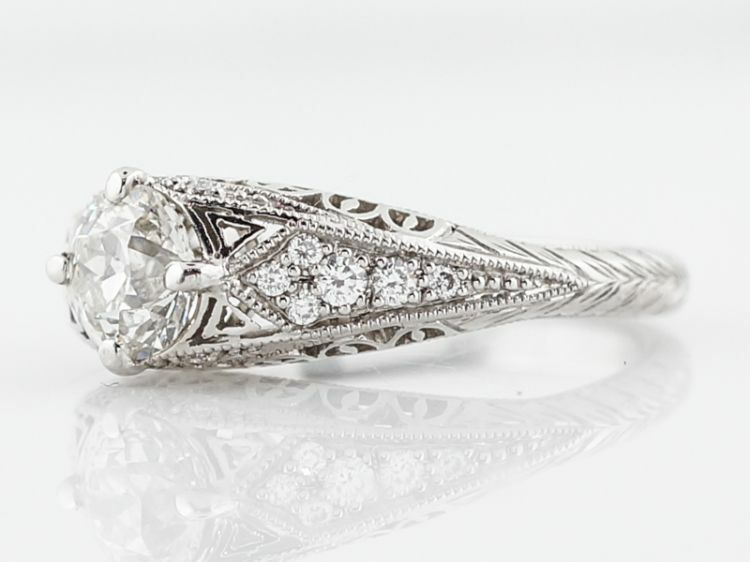 The combination of round cuts and sharp angles draws the eye in and around, captivating and holding our attention.